Integrity Resource Center co-hosted a prayer retreat years ago. I invited the CEO of a large organization to join us. SOAP is an acronym that stands for Scripture, Observation, Action, and Prayer. You begin by writing out a brief passage of Scripture. You then write down your observations about that passage. Next you determine an action you’re going to take, and finally you pray. My friend later shared that the SOAP method revolutionized his prayer life. 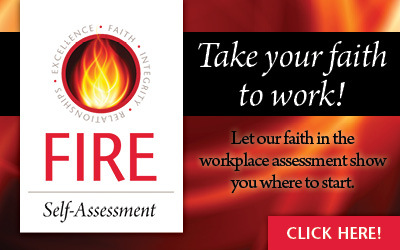 Investing in prayer became a profitable workplace investment. I encourage you to do likewise!